Former Board President of The Beacon (homeless outreach center) and the Houston Chamber Choir. Has served on the Vestry of Christ Church Cathedral and is a 35-year member of the Cathedral Choir. Founding board member of Galena Park Striders. Currently serves on the boards of Ascension Hermitage and the Houston Chamber Choir. Medina, D., Edwards, D. G., Kittrell, F., Lee, S. and Allred, D. C. (2012). Intra-mammary ductal transplantation: a tool to study premalignant progression. J Mammary Gland Biol Neoplasia 17(2): 131-133. Yan, H., Blackburn, A. C., McLary, S. C., Tao, L., Roberts, A. L., Xavier, E. A., Dickinson, E. S., Seo, J. H., Arenas, R. B., Otis, C. N., Cao, Q. J., Lawlor, R. G., Osborne, B. A., Kittrell, F. S., Medina, D. and Jerry, D. J. (2010). Pathways contributing to development of spontaneous mammary tumors in BALB/c-Trp53+/- mice. Am J Pathol 176(3): 1421-1432. Abba, M. C., Hu, Y., Levy, C. C., Gaddis, S., Kittrell, F. S., Hill, J., Bissonnette, R. P., Brown, P. H., Medina, D. and Aldaz, C. M. (2009). Identification of modulated genes by three classes of chemopreventive agents at preneoplastic stages in a p53-null mouse mammary tumor model. Cancer Prev Res (Phila) 2(2): 175-184. Medina, D., Kittrell, F., Hill, J., Zhang, Y., Hilsenbeck, S. G., Bissonette, R. and Brown, P. H. (2009). Prevention of tumorigenesis in p53-null mammary epithelium by rexinoid bexarotene, tyrosine kinase inhibitor gefitinib, and celecoxib. Cancer Prev Res (Phila) 2(2): 168-174. Abba, M. C., Hu, Y., Levy, C. C., Gaddis, S., Kittrell, F. S., Zhang, Y., Hill, J., Bissonnette, R. P., Medina, D., Brown, P. H. and Aldaz, C. M. (2008). Transcriptomic signature of bexarotene (rexinoid LGD1069) on mammary gland from three transgenic mouse mammary cancer models. BMC Med Genomics 1: 40. Zhang, N., Ge, G., Meyer, R., Sethi, S., Basu, D., Pradhan, S., Zhao, Y. J., Li, X. N., Cai, W. W., El-Naggar, A. K., Baladandayuthapani, V., Kittrell, F. S., Rao, P. H., Medina, D. and Pati, D. (2008). Overexpression of Separase induces aneuploidy and mammary tumorigenesis. Proc Natl Acad Sci U S A 105(35): 13033-13038. Loehberg, C. R., Thompson, T., Kastan, M. B., Maclean, K. H., Edwards, D. G., Kittrell, F. S., Medina, D., Conneely, O. M. and O'Malley, B. W. (2007). Ataxia telangiectasia-mutated and p53 are potential mediators of chloroquine-induced resistance to mammary carcinogenesis. Cancer Res 67(24): 12026-12033. Gatza, C. E., Dumble, M., Kittrell, F., Edwards, D. G., Dearth, R. K., Lee, A. V., Xu, J., Medina, D. and Donehower, L. A. (2008). Altered mammary gland development in the p53+/m mouse, a model of accelerated aging. Dev Biol 313(1): 130-141. Abba, M. C., Fabris, V. T., Hu, Y., Kittrell, F. S., Cai, W. W., Donehower, L. A., Sahin, A., Medina, D. and Aldaz, C. M. (2007). Identification of novel amplification gene targets in mouse and human breast cancer at a syntenic cluster mapping to mouse ch8A1 and human ch13q34. Cancer Res 67(9): 4104-4112. Rajkumar, L., Kittrell, F. S., Guzman, R. C., Brown, P. H., Nandi, S. and Medina, D. (2007). Hormone-induced protection of mammary tumorigenesis in genetically engineered mouse models. Breast Cancer Res 9(1): R12. Medina, D., Kittrell, F. S., Hill, J., Shepard, A., Thordarson, G. and Brown, P. (2005). Tamoxifen inhibition of estrogen receptor-alpha-negative mouse mammary tumorigenesis. Cancer Res 65(8): 3493-3496. Medina, D. and Kittrell, F. (2005). Stroma is not a major target in DMBA-mediated tumorigenesis of mouse mammary preneoplasia. J Cell Sci 118(Pt 1): 123-127. Hu, Y., Sun, H., Drake, J., Kittrell, F., Abba, M. C., Deng, L., Gaddis, S., Sahin, A., Baggerly, K., Medina, D. and Aldaz, C. M. (2004). From mice to humans: identification of commonly deregulated genes in mammary cancer via comparative SAGE studies. Cancer Res 64(21): 7748-7755. Unni, E., Kittrell, F. S., Singh, U. and Sinha, R. (2004). Osteopontin is a potential target gene in mouse mammary cancer chemoprevention by Se-methylselenocysteine. Breast Cancer Res 6(5): R586-592. Pati, D., Haddad, B. R., Haegele, A., Thompson, H., Kittrell, F. S., Shepard, A., Montagna, C., Zhang, N., Ge, G., Otta, S. K., McCarthy, M., Ullrich, R. L. and Medina, D. (2004). Hormone-induced chromosomal instability in p53-null mammary epithelium. Cancer Res 64(16): 5608-5616. Yi, Y., Shepard, A., Kittrell, F., Mulac-Jericevic, B., Medina, D. and Said, T. K. (2004). p19ARF determines the balance between normal cell proliferation rate and apoptosis during mammary gland development. 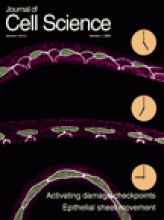 Mol Biol Cell 15(5): 2302-2311. Medina, D. and Kittrell, F. S. (2003). p53 function is required for hormone-mediated protection of mouse mammary tumorigenesis. Cancer Res 63(19): 6140-6143. Lamb, J., Ramaswamy, S., Ford, H. L., Contreras, B., Martinez, R. V., Kittrell, F. S., Zahnow, C. A., Patterson, N., Golub, T. R. and Ewen, M. E. (2003). A mechanism of cyclin D1 action encoded in the patterns of gene expression in human cancer. Cell 114(3): 323-334. Medina, D., Kittrell, F. S., Shepard, A., Contreras, A., Rosen, J. M. and Lydon, J. (2003). Hormone dependence in premalignant mammary progression. Cancer Res 63(5): 1067-1072. Kong, G., Chua, S. S., Yijun, Y., Kittrell, F., Moraes, R. C., Medina, D. and Said, T. K. (2002). Functional analysis of cyclin D2 and p27(Kip1) in cyclin D2 transgenic mouse mammary gland during development. Oncogene 21(47): 7214-7225. Aldaz, C. M., Hu, Y., Daniel, R., Gaddis, S., Kittrell, F. and Medina, D. (2002). Serial analysis of gene expression in normal p53 null mammary epithelium. Oncogene 21(41): 6366-6376. Medina, D., Kittrell, F. S., Shepard, A., Stephens, L. C., Jiang, C., Lu, J., Allred, D. C., McCarthy, M. and Ullrich, R. L. (2002). Biological and genetic properties of the p53 null preneoplastic mammary epithelium. FASEB J 16(8): 881-883.